With that comes another installment of Fitness Friday! Summer is literally RIGHT around the corner, with that comes severe heat and humidity, well at least where I am from. While I am looking forward to days at the pool and outings to our local zoo with the kiddos, I am not looking forward to misery that is the heat. Which brings me to today's topic of water. 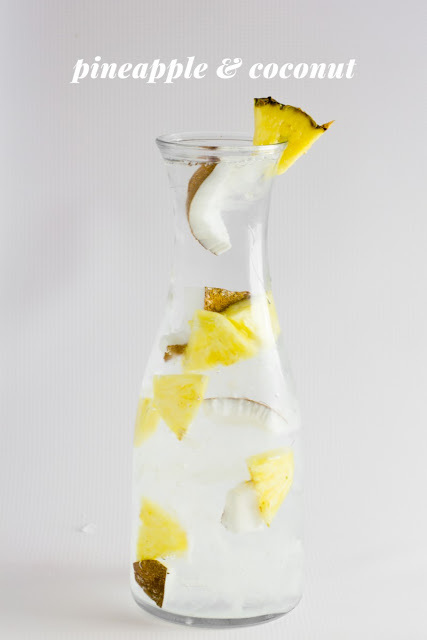 Summer means pools, lake trips, float trips, running through sprinklers, sure, but what I want to take a moment and talk about is our water intake during these hot hot months! So, we all know that we should be getting 8 glasses of water a day, or at least that's what we are being told by pretty much everyone out there. 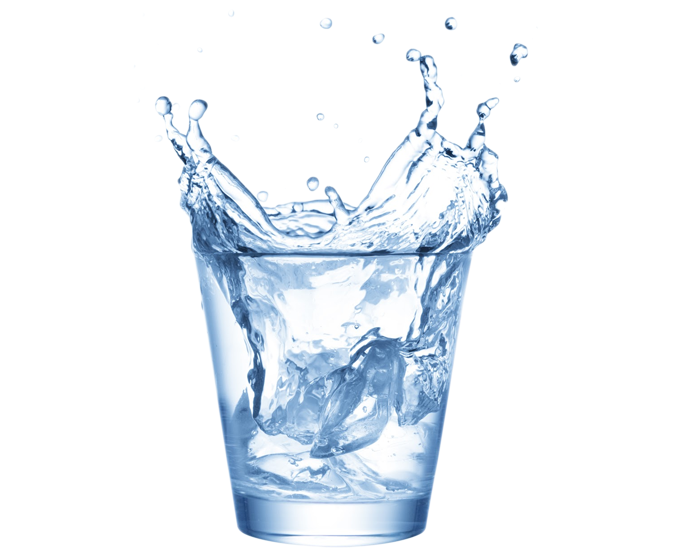 While this is an excellent starting point I did a little extra research to see just how much water would be ideal for my body. What I can best conclude is that, for every pound you weigh you need an ounce of water. So say you weigh 100 lbs. then you should, ideally, be getting 100 oz. of water during a day. I liked that idea better than the generic 8 glasses of water! Personally, drinking water is something I actually have to think about and make myself do. Especially if I was wanting to get as many ounces as I needed. So what did I do?! I got an app for that! I ended up choosing Waterlogged (check it out here). There's nothing crazy about this app, other than you can use their predetermined glass sizes or create your own. Then as you drink you just input which glass size you drank and voila. They start you off at 64 oz., which is the recommended amount, however I knew in my mind I needed well more than that, so I just went into the settings and changed my daily goal. Simple as that. Once you have hit your goal for the day you get a fun little notification. And you can keep going for the day as well and it will continuously keep track. 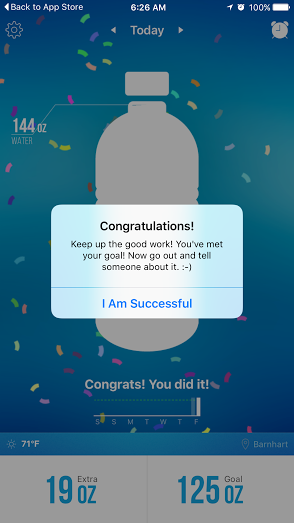 There's nothing insanely crazy about this app other than it raises your personal awareness about how much water you drink, which for me was what it was all about. I always knew I needed to drink more water, but it was way easier said than done. With proper motivation and a way to actually see the results, I have been much more successful in my endeavor. 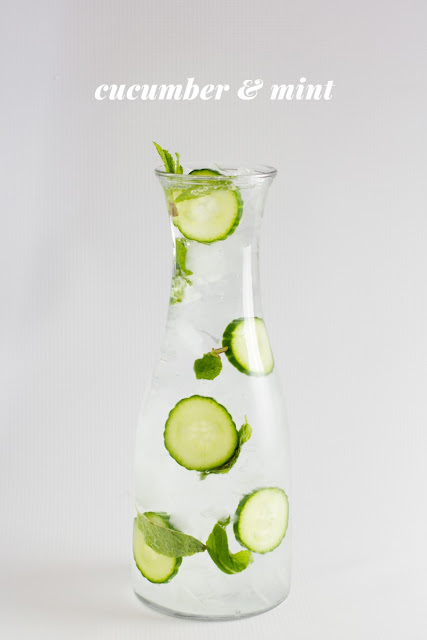 If you aren't a fan of just plain old water there are tons of options for infusing your water in a way to make it tastier and more enticing! Here are just a few I'm looking forward to trying out myself this summer. 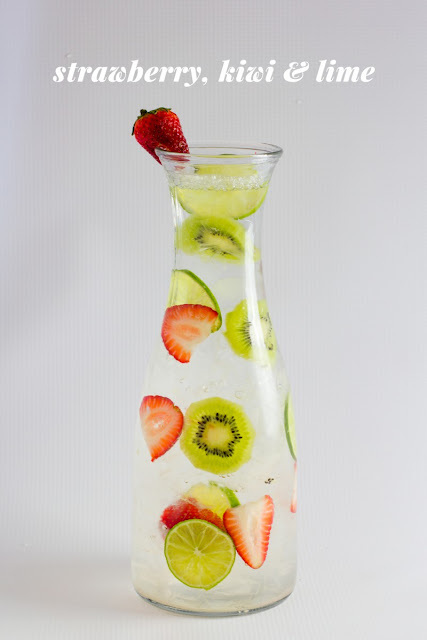 What is your favorite way to infuse water?! Do you think you will give this app a try?! This past weekend was full of family and all around fun! Anyone else love this show?! It's one of my absolute favorite shows & I look forward to finishing up this newest season! Saturday Andrew and I had a little date day/evening and we went to the baseball game. It started out a bit rough but we ended up coming back from a 4-0 deficit to winning 7-4. Saturday night my sister came over for some bonding time, and we ended up staying up until 4 in the morning talking and hanging out and enjoying some adult beverages. I am not used to staying up so late. Sunday morning was a bit rough with two little ones running around! The rest of Sunday we spent with family and just chilling. I was able to fit in my work outs Sunday evening so I can keep on track with my Lauren Conrad 30 Day Ab Challenge, that I blogged about on Friday! As far as my training for the half marathon in October I have had to take the past week off and it's looking like this week will have to be a rest week as well. A couple Saturday's ago while doing my long run I slipped on some mud, I caught myself before I fell but my foot twisted funny. The rest of that run and even that day I felt no pain but woke up the morning after with severe pain in the foot. I hoped it would go away but here I am, a week and two days later and it's just TODAY starting to feel better. I would say today is the best it has felt since the pain began. I can walk with VERY minimal pain and when I'm sitting it's like nothing is wrong. From all the research I've done it's just a really bad bruise, that accompanied by the fact that I can see the bruise I feel quite certain. I just don't want to push it and hurt my foot even worse so resting it is! I'm hoping by next Monday I will have been fine for a couple days and can SLOWLY get back into my training program. Anyone have an recommendations for bruised foot pain relief?! I would really appreciate it! Linking up with Erin for Weekend Snapshots & Biana & Meghan for Weekending!